Some new condominium buyers move in and forget they have to pay a monthly condo fee. I sit on the board; are we permitted to request 12 post-dated cheques for the year so we don’t have to chase these people down every month? Thanks for your advice! As predicted, the Bank of Canada (BoC) held the benchmark interest rate flat. It's not the lowest BoC Rate - for a few months in 2009 and 2010, it was at just 25 basis points - but it is one of the longest stretches in BoC history that the rate has been held this close to "rock bottom". Overbrook, Ottawa - We invite everyone to visit our open house at 302-950 MARGUERITE AVENUE on March 17 from 2:00 PM to 4:00 PM. Carson Meadows, Ottawa - We invite everyone to visit our open house at 1804-665 BATHGATE DRIVE on March 10 from 2:00 PM to 4:00 PM. Blackburn Hamlet, Ottawa - Lovely 3-bedroom, 3-bath freehold END UNIT on quiet crescent; features updated eat-in kitchen w/ new countertop, backspash & tile; spacious open-concept living/dining space w/ wood flrs & fireplace; main-flr powder room; inviting master w/ vaulted ceiling & private ensuite; fin bsmnt w/ family rm & 4th bath rough-in; attached garage; all amenities nearby, incl shopping, parks, schools, transit, greenbelt & highway access. A great home! Tanglewood, Nepean - Welcome to 302 Woodfield Drive! This affordable, updated high-ranch condo is located in popular Tanglewood. The high-ranch style offers 4 spacious bedrooms, 2 full bathrooms, a spacious family room, and less steps than the traditional 2-story townhome. There is tremendous value here! Features include newer flooring; an updated eat-in kitchen; updated baths (2yrs); neutral paint; 2 full, 4-piece bathrooms; 4 spacious bedrooms; large family room; private, fenced rear patio, overlooking lush greenspace; and built-in garden planters. This home also features its own private driveway, plus the convenience of visitor parking just across the lane. The location is unbeatable, overlooking wonderful NCC bicycle paths; steps to parks & playgrounds; & all key & bonus amenities nearby. Note that condo fees include hydro & water, in addition to building insurance, management, & caretaker. This home is ideal for the first-time buyer, or for singles, couples, small families, & downsizers! Don't wait! The Real Estate News Exchange (RENX) is an on-line news and information service for anyone with a keen interest in Canadian real estate. From powerful tools to helpful articles, the Coldwell Banker® Info Center can help you with your real estate questions. Right now, I’m sure there are many people in this city whose nightly debate over dinner with their spouse, family or friends revolves around whether or not to buy a home this year. As a REALTOR® who has weathered periods of economic uncertainty, I’m here to tell you that if you’re financially prepared and have done your homework, it’s a perfectly good time to purchase your first home, particularly if you plan to live in it for the medium-to-long term. If history is any predictor of the future, real estate increases in value. 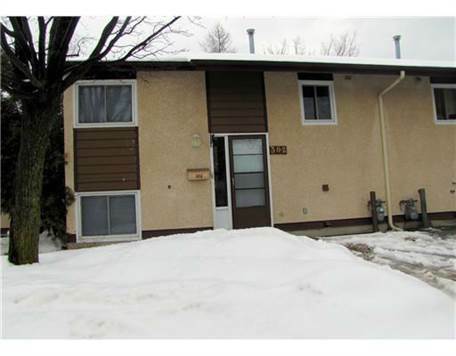 For example, in the Ottawa area since 1956, the average price year over year decreased only five times. No matter when you purchase your first home, it may be a daunting and even overwhelming experience. But there are many things that can make the process easier for you. First, it helps to work with an experienced REALTOR® who can help you navigate the complicated process of home buying. Your REALTOR® is your advocate during the transaction, as well as a great source of information and support. Also, low mortgage interest rates are still available to qualified buyers. A good interest rate can make the first few years of your homeownership easier to handle. When seeking that mortgage, something that can be a huge help to the first-time home buyer is the federal Home Buyer’s Plan (HBP). This is a government program that permits first-time home buyers to withdraw up to $20,000 from a registered retirement savings plan (RRSP) to put towards a down payment. If you and your spouse are purchasing the home together, you can each withdraw up to $20,000 from your respective RRSPs. That can go a long way towards making up a 20 per cent down payment, which allows you to take out a conventional mortgage and save the insurance costs associated with a high-ratio mortgage. If you’re in a position to take advantage of this Plan, it can save you a lot of money over the amortization period of your mortgage. Remember that you can only participate in the HBP once, and the funds you withdraw from your RRSPs must be repaid within 15 years of withdrawal on a schedule mandated by the Canada Revenue Agency or else they become subject to taxation. The HBP is only open to residents of Canada, and the home you are purchasing must be intended as your principal place of residence (so vacation homes and cottages would not qualify). For more information about the HBP, you can visit the Canada Revenue Agency’s web site at http://www.cra-arc.gc.ca. Your REALTOR® and your mortgage lender are also excellent sources of information about this opportunity. You should also remember to take advantage of the Ontario government’s land-transfer tax rebate, now available to all qualified first-time home buyers, whether you purchase a newly built home or a resale home. Ask your REALTOR® about obtaining the forms needed to apply for the rebate, which can save you up to $2,000 upon closing. Since closing costs can add up quickly, the rebate is a big help. So if you’re ready to become a homeowner, remember that you don’t have to do it alone. There are many places to turn for assistance. Make your buying experience a great one! Tanglewood, Nepean - We invite everyone to visit our open house at 396 Woodfield Drive on January 18 from 2:00 PM to 4:00 PM. • 3 bath, 5 bdrm 2 story - MLS® $434,900 - Lots of value here! 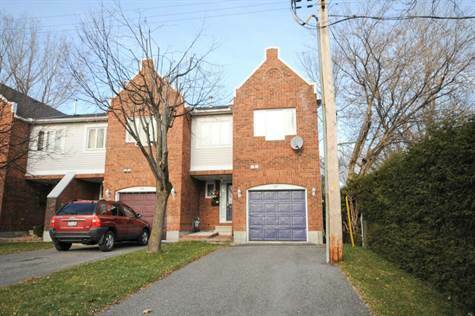 Briargreen, Ottawa - This spacious 4+1 bedroom, 3-bath home rests on a large, irregular lot on a quiet court. It features a classic, center-hall floorplan, with: 4 generously sized bedrooms; a master ensuite bath; main floor family room; large eat-in kitchen; formal living and dining rooms; and enclosed three-season patio. The finished basement includes a fifth bedroom; home office; and recreation room. This home has received many key improvements and updates, including newer floor-to-ceiling windows; a refurbished double-car garage; a newer roof; high-efficiency furnace (2007) and central air conditioning. With great bones, a very functional, traditional floorplan, important upgrades, and plenty of living space, this home is a real gem. Just add your personal touches and make this Briargreen beauty your home! 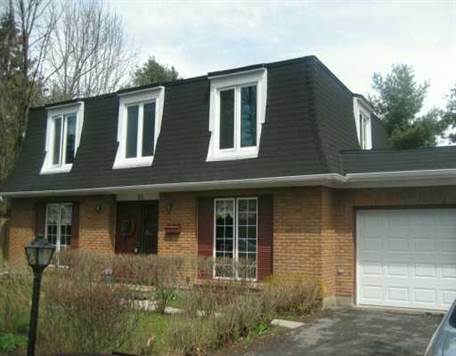 Tanglewood, Nepean - Announcing a price reduction on 20B Shehyn Lane, a 2 bath, 3 bdrm single story. Now $174,900 - . Central Park, Ottawa - We invite everyone to visit our open house at 250 Scout Street on December 21 from 2:00 AM to 4:00 AM. Some big changes recently came into effect for the Canadian mortgage industry. In a move by the Government of Canada to strengthen and protect the Canadian housing market, changes went into effect on October 15, 2008 regarding how buyers qualify for mortgage loans. The changes may be good news for the housing industry and the Canadian economy as a whole, but if you’re in the market to buy a home, you may find that these changes make it more difficult for you to qualify for a mortgage. 1. Loan-To-Value Ratio: Previously, buyers had been able to finance 100% of the purchase price of a home. Effective October 15, this limit was reduced to 95%, meaning purchasers now require a minimum of a 5% down payment. 2. TDS ratio: In the past, if a buyer was applying a 5% percent down payment, the TDS (Total Debt Service) ratio limit was either 42% (if their credit score was below 680) or 44% (if their credit score was 680 or above). Under the new rules, the TDS ratio limit is now set at a maximum of 45%. been reduced from 40 years to 35 years. established. Potential buyers currently in this bracket should carefully manage their credit and try to increase their credit score. A missed or late bill payment now could end up costing you a lot more than just the monthly interest when the time comes to qualify for a mortgage loan! 5. Loan documentation: There are new standards for business owners or self-employed individuals wanting to obtain mortgage financing. The maximum mortgage you may qualify for will now be based on your credit and your down payment. Check with your financial advisor for full details. Not sure how these changes may affect you and your search for a home? Call me, and I'd be happy to provide you with the information you need to make an informed decision before you head out in search of a mortgage.